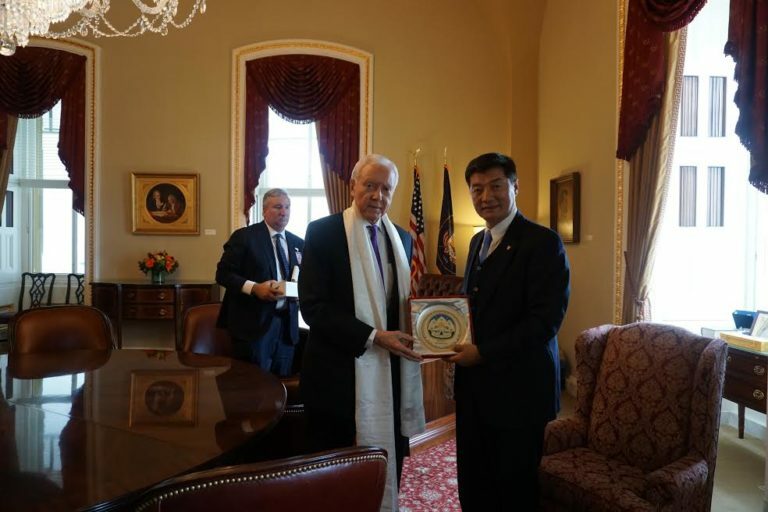 (TibetanReview.net, May25, 2017) – Visiting the United States for the first time since his reelection last year and under the Donald Trump presidency, the executive head of the exile Tibetan Administration at Dharamshala, India, Sikyong Lobsang Sangay, on May 23 met with the two Senators from Utah, Senator Mike Lee and Senator Orrin Hatch. The meeting took place in the capitol building. The Sikyong briefed the Senators about the issue of Tibet, including the current situation in his Chinese ruled homeland and his efforts to strike a Sino-Tibetan dialogue, said the exile administration on its Tibet.net website May 24. 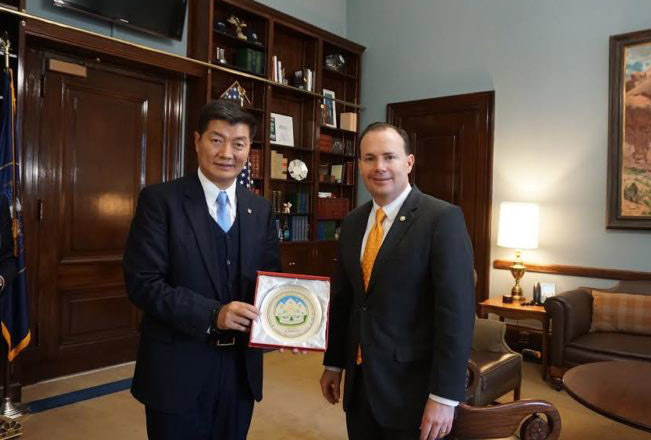 The website said the senators expressed high regard for the Dalai Lama and showed grave concern on the current situation in Tibet while promising to extend all support. The report said Congressman Jim McGovern and Mr Keith Harper, a former US Ambassador to the UN, were among the guest who attended a dinner hosted for the President of the Central Tibetan administration by the International Campaign for Tibet.